See scan - perfect condition. 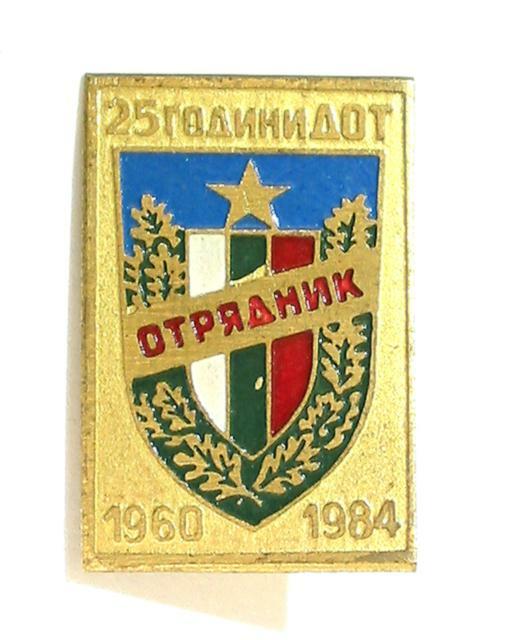 This is a nice and rare Communist era Bulgaria commemorative Merit badge as awarded to long service members of the Bulgarian Peoples Civil Police (DOT). Size is 25mm x 17mm. 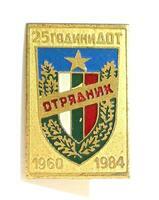 Nice and rare militaria / police related collector piece and one of the rare Bulgarian badges and insignia.